Diamond Details: Round brilliant cut white diamonds, of F color, VS2 clarity, weighing .91 carat total. 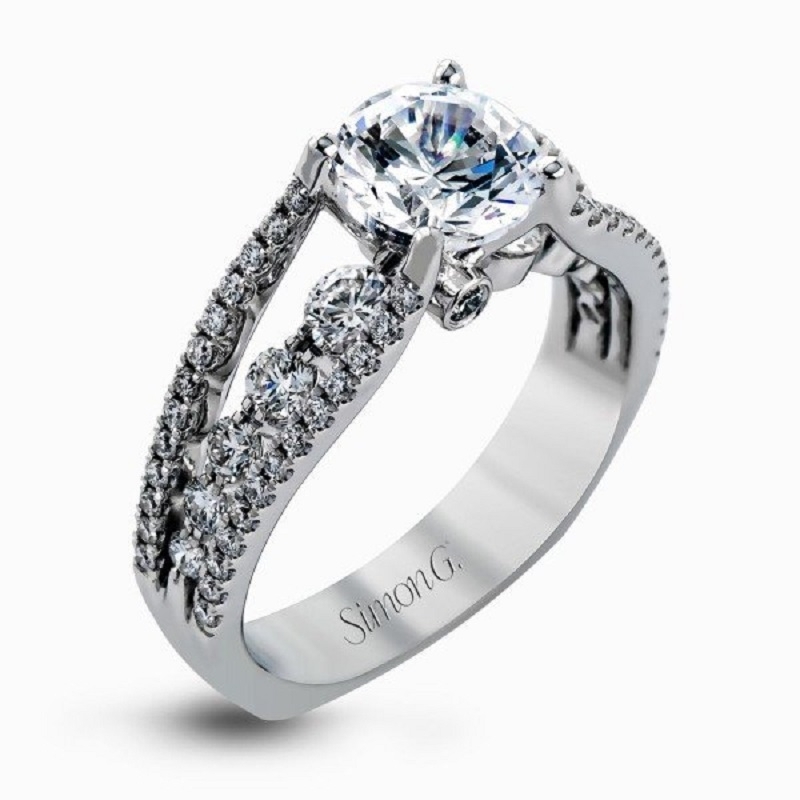 Ring Details: Simon G 18k white gold design engagement ring setting. Can accommodate a variety of center diamond sizes, starting at 0.50 carats. 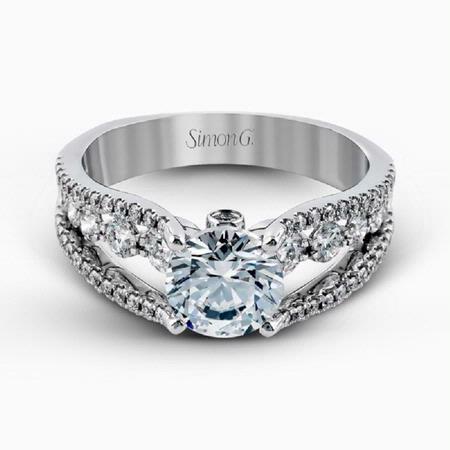 Measurements: Simon G rings can be ordered in any finger size. Please allow 3-4 weeks for delivery. This beautiful Simon G diamond and 18k white gold engagement ring setting features round brilliant cut white diamonds, of F color, VS2 clarity, weighing .91 carat total. 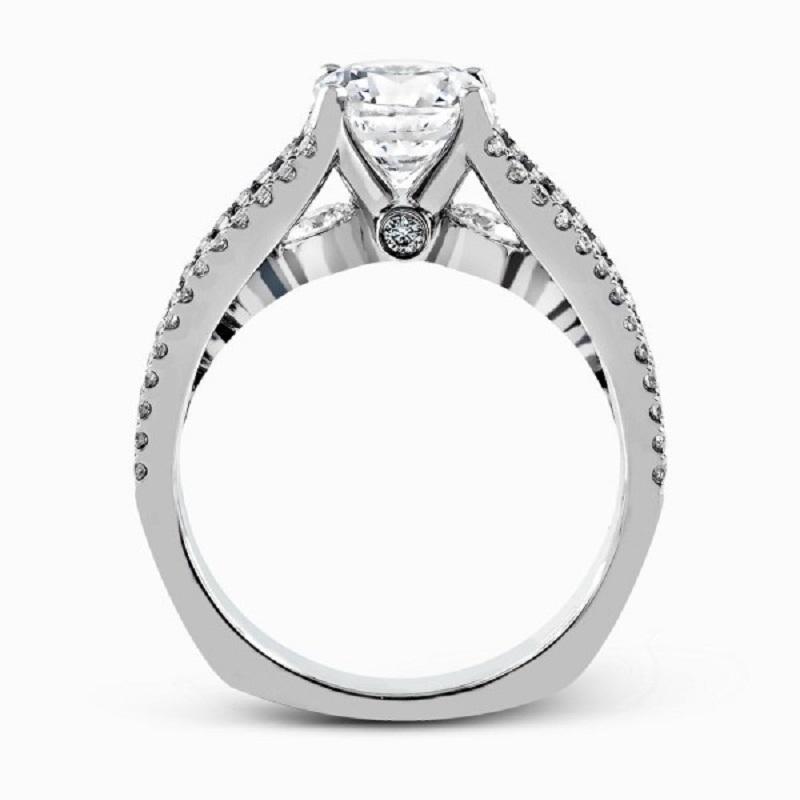 Can accommodate a variety of center diamond sizes, starting at 0.50 carats. Simon G rings can be ordered in any finger size. Please allow 3-4 weeks for delivery.